It's zero degrees here right now. 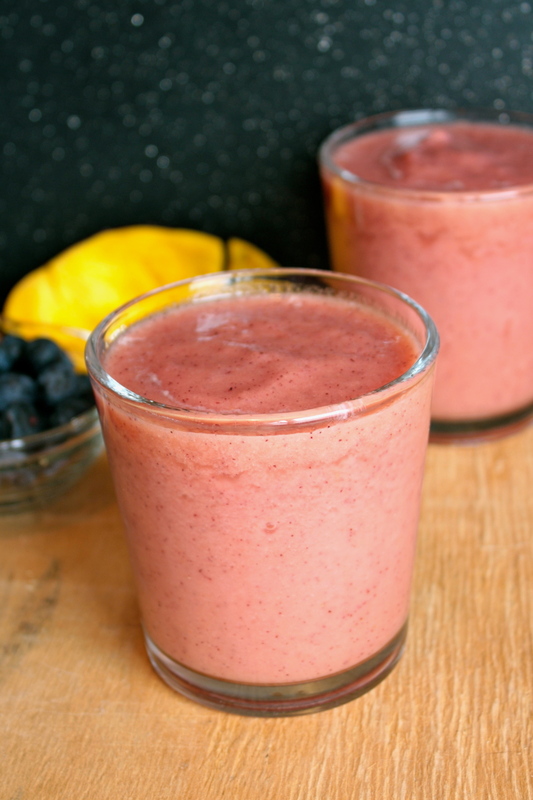 I can't think of a better time to have a smoothie, can you?! Cold outside, might as well make yourself cold inside as well. I know that might not sound fun but I drink smoothies every day so I'm used to it. And by used to it I mean I drink it and then lay on the couch covered in blankets for the next hour. But that's okay. Totally worth it. Toss it all in your blender. Blend it up. Turn on Aquamarine, Holiday In the Sun, or any other late 90's-early 2000's beachy movie, serve, enjoy!